A Lady Reveals Nothing: Sunday Favorites: "Uh-Oh!" I have a friend who was employed as a carpet layer. As such, he often found himself in people's homes. And being in people's homes made him observant to certain things. One day, a customer called to him and his coworker from inside the house to come in. As my friend entered, he noticed a wheelchair folded up behind the door. 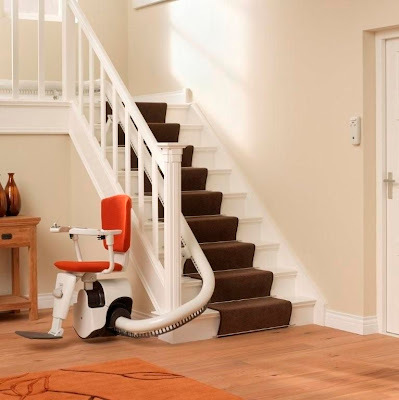 He also noticed a very conspicuous mechanical wheelchair stair lift going from the first level up to the second. His co-worker was not so...observant. He noticed only the crutches as the homeowner hobbled to the top of the stairs to greet them. "Uh-oh!" the co-worker sing-songed. "Someone's on crutches!" Genetics - Part 2 "Big Heads"
Photo Shoot - Starring ME! Sunday Favorites: I'm on a Boat! Canning. It's the New "Having a Boyfriend"